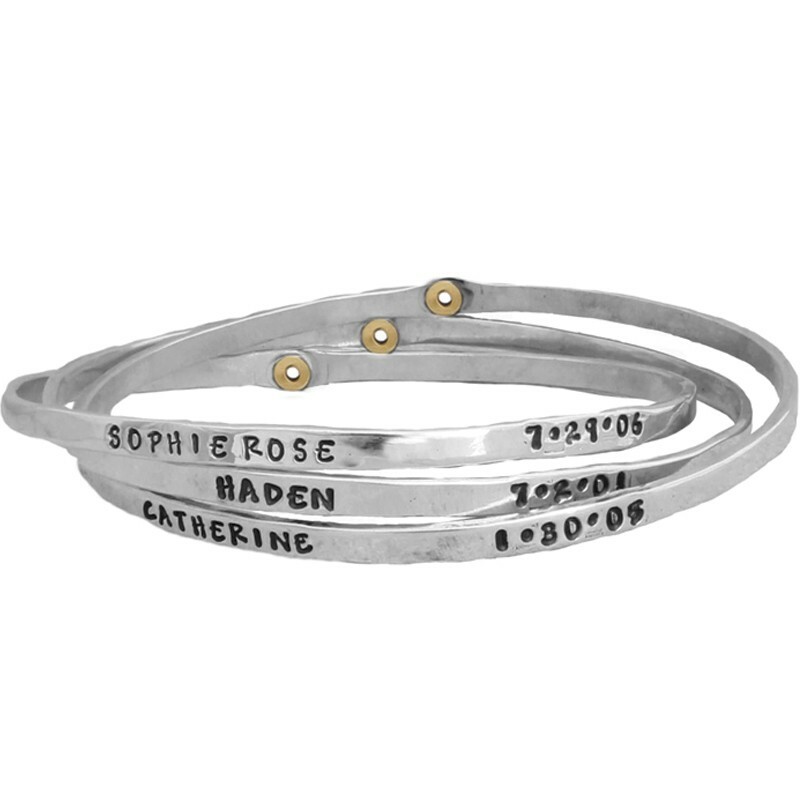 Mother's Day gifts are best when they are handmade! 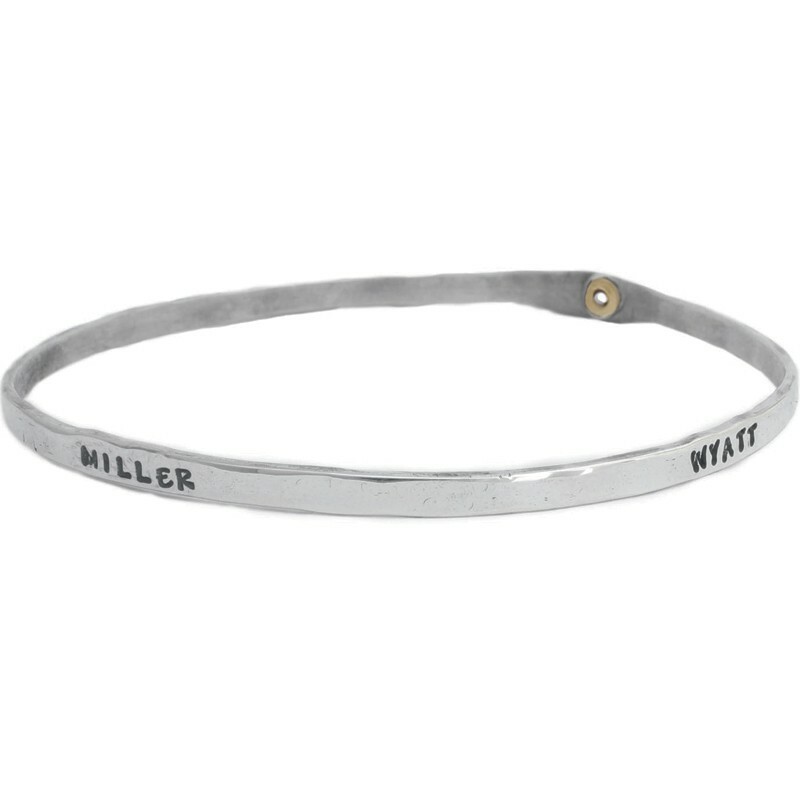 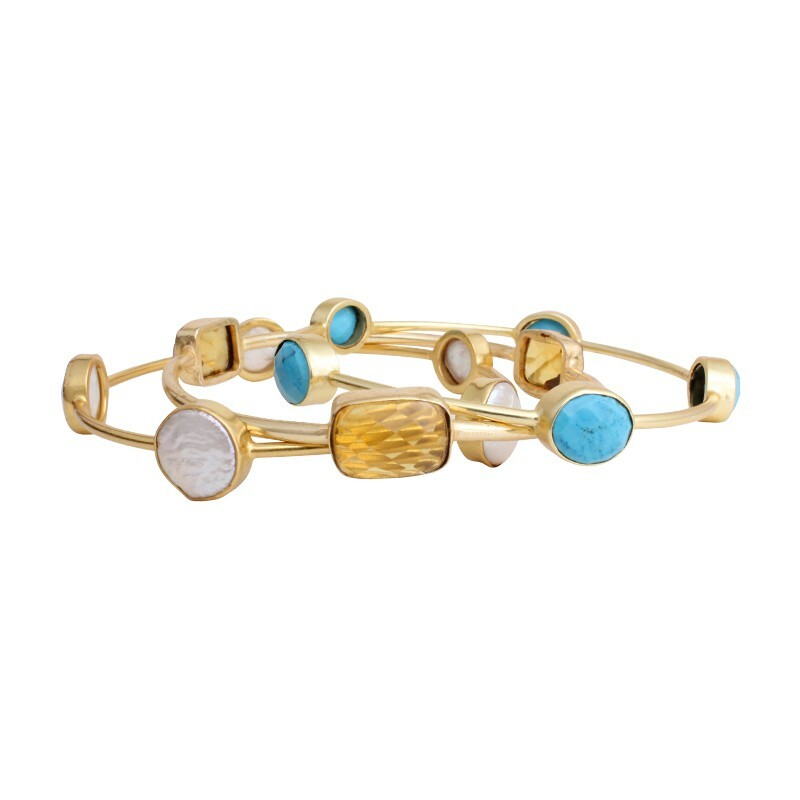 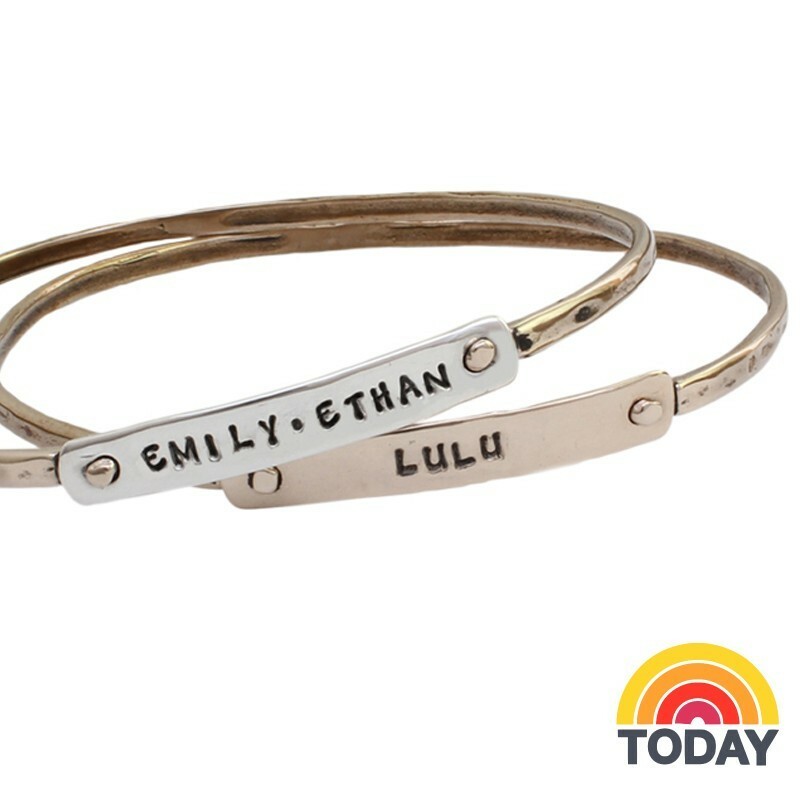 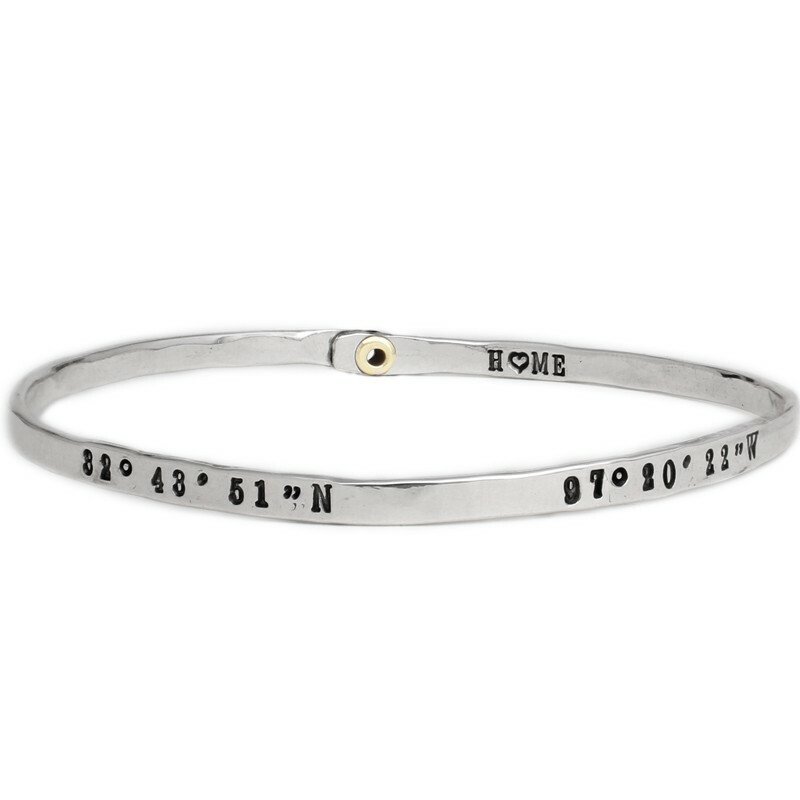 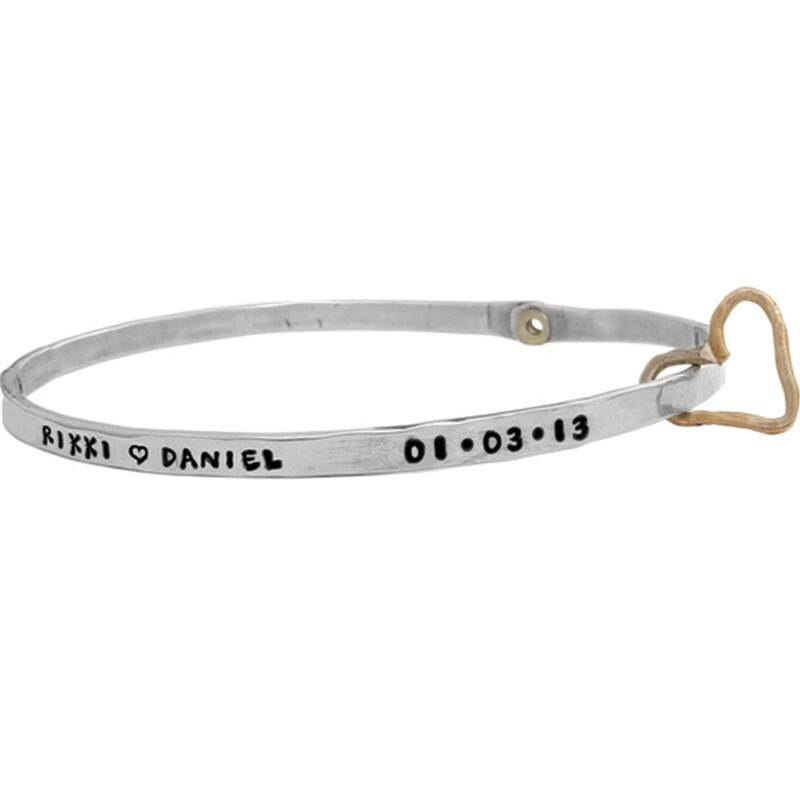 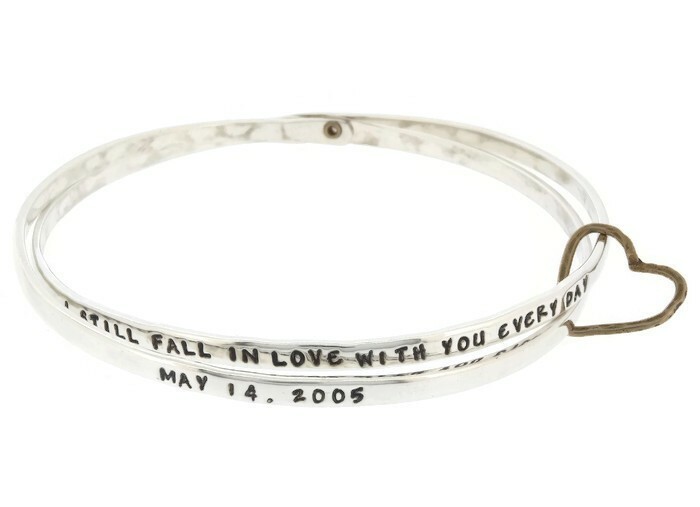 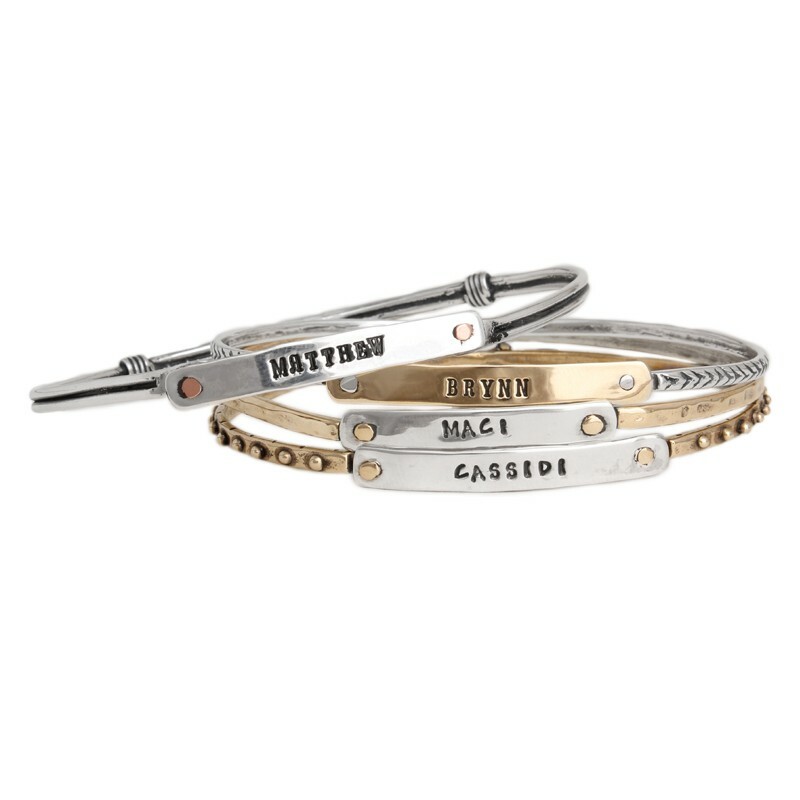 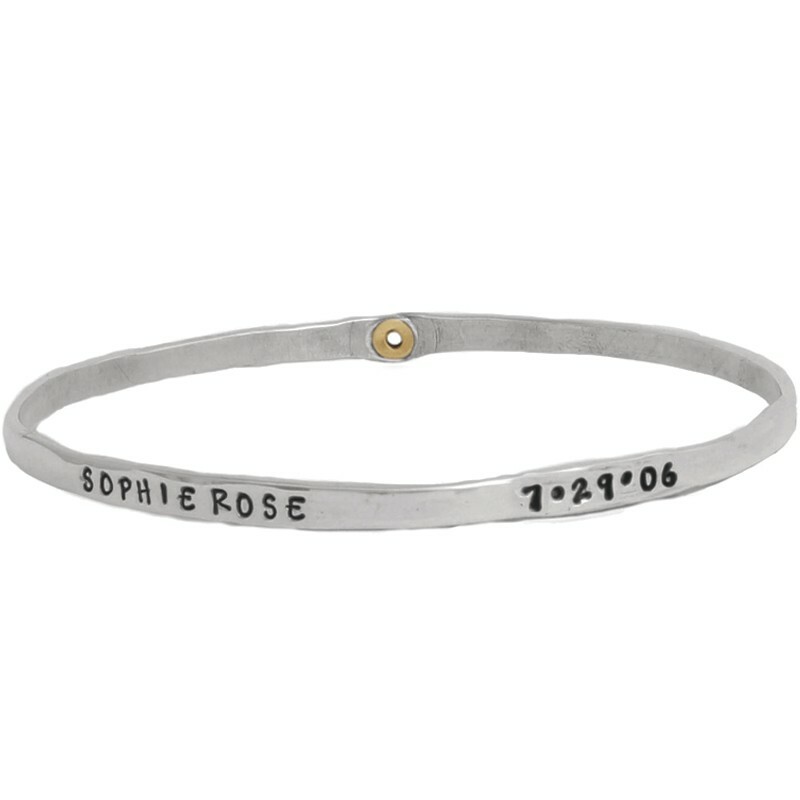 Customize a Mother's Day bracelet as a special gift for mom. 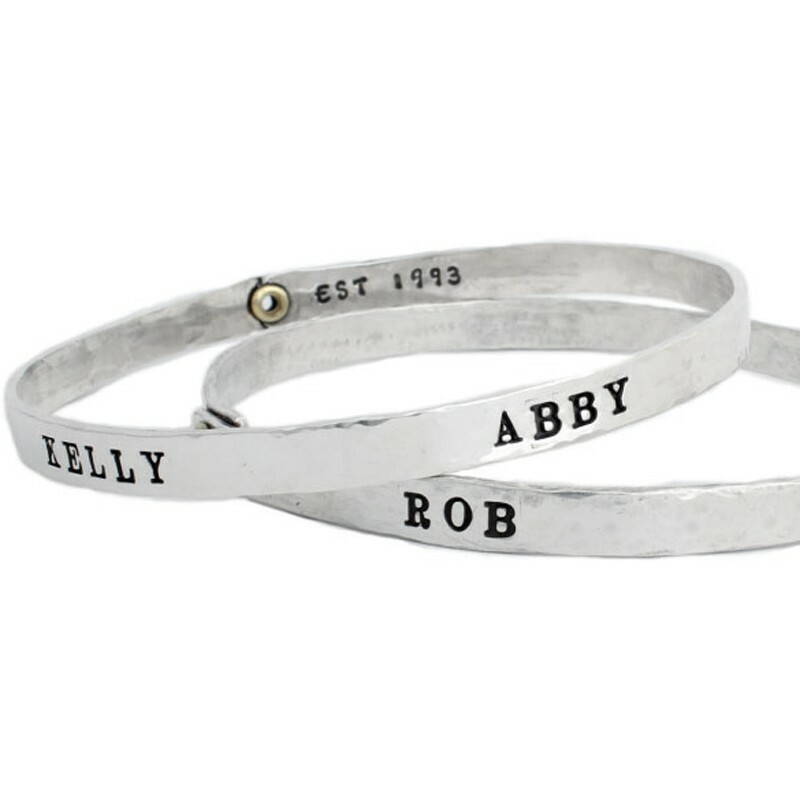 You can create a stacked bracelet ~ one for each child. 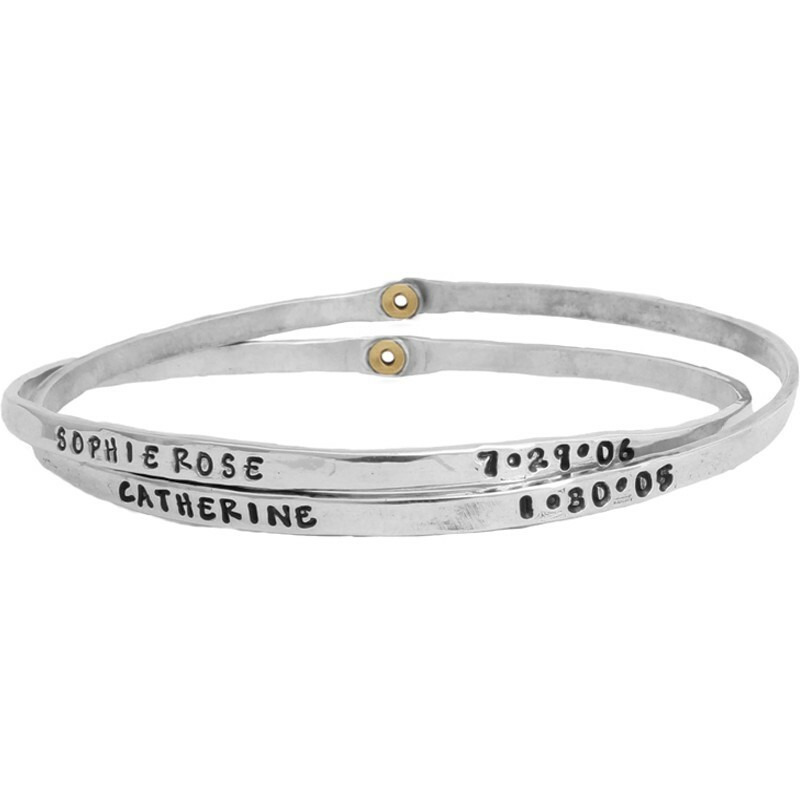 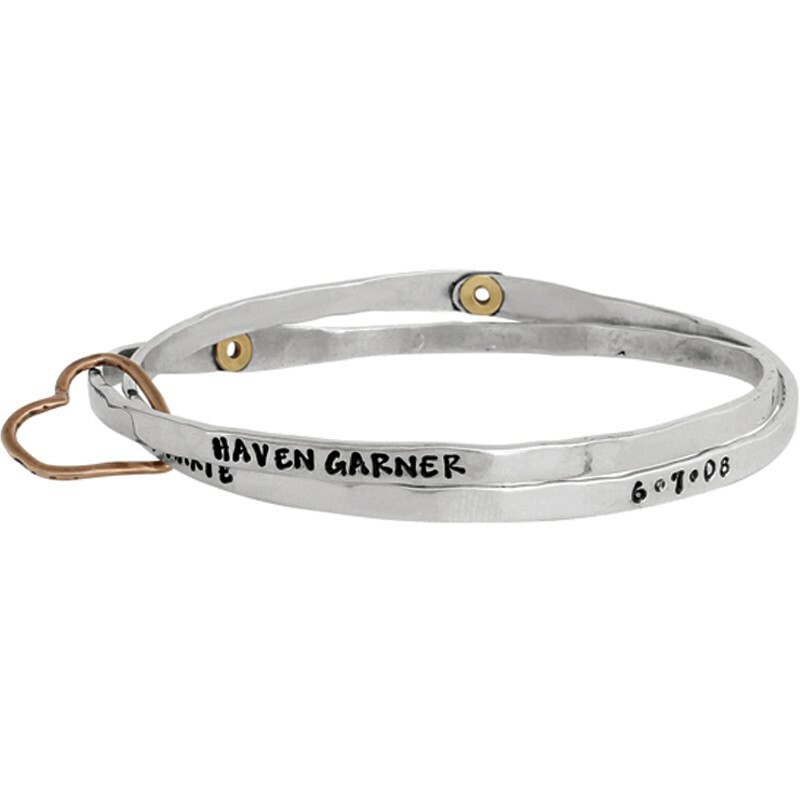 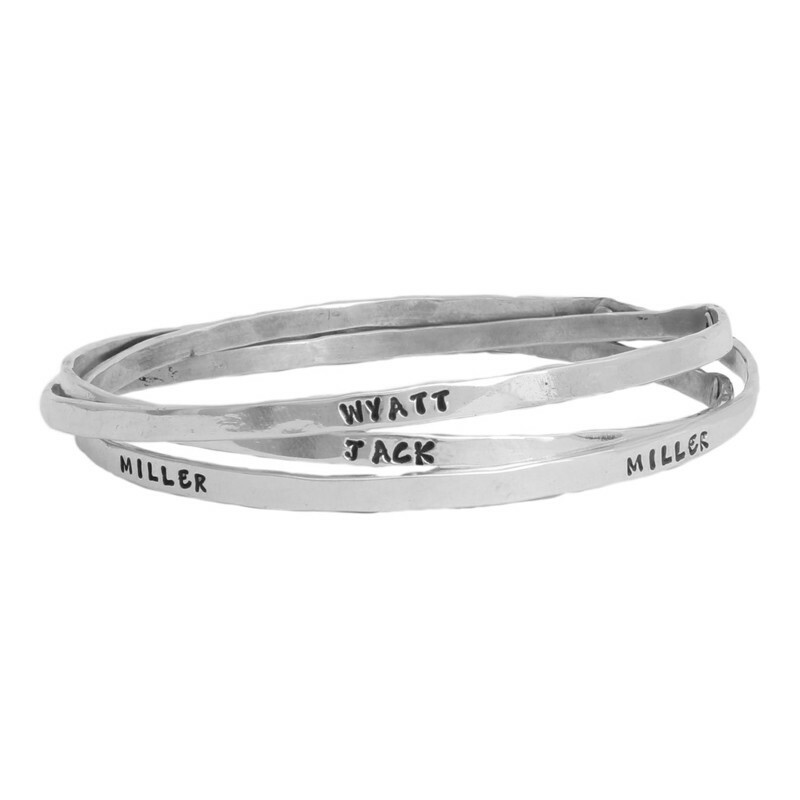 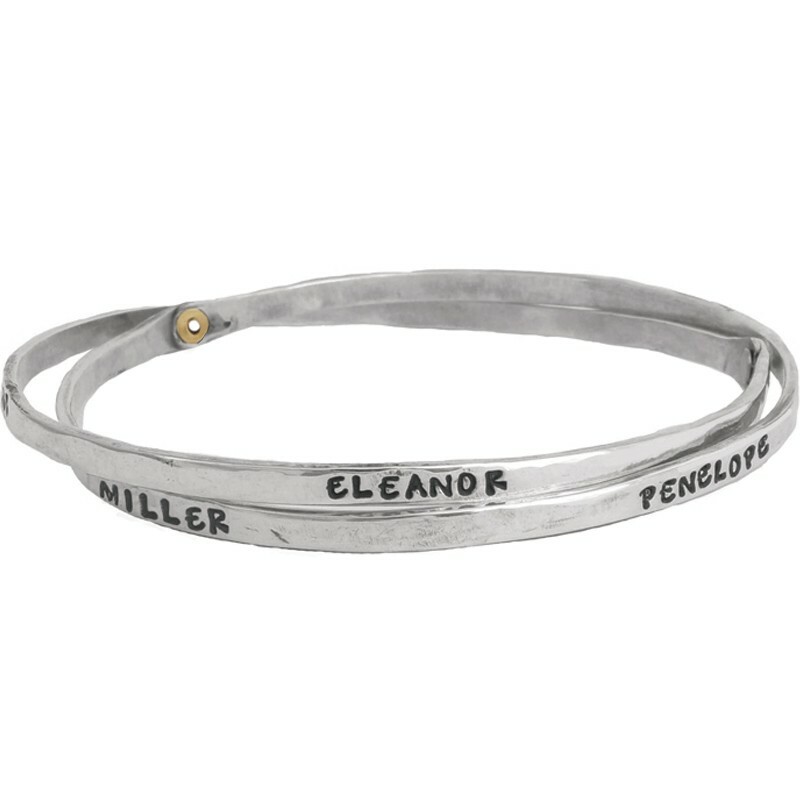 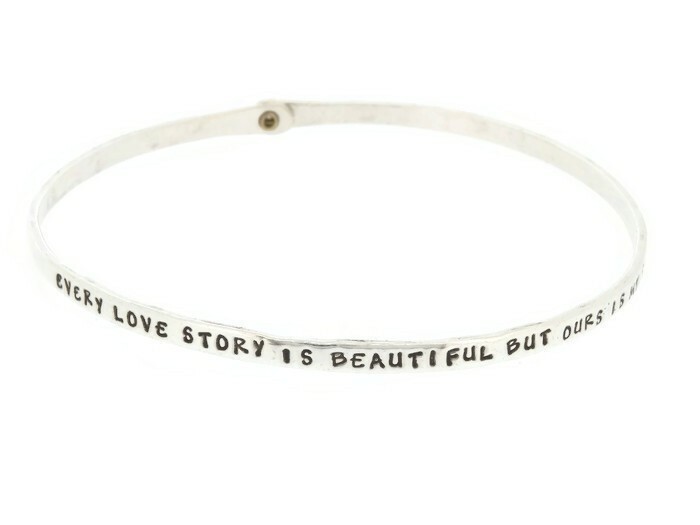 Or our Family Bracelet is a favorite and has the names of each family member stamped on the outside of the sterling silver bangle bracelet. 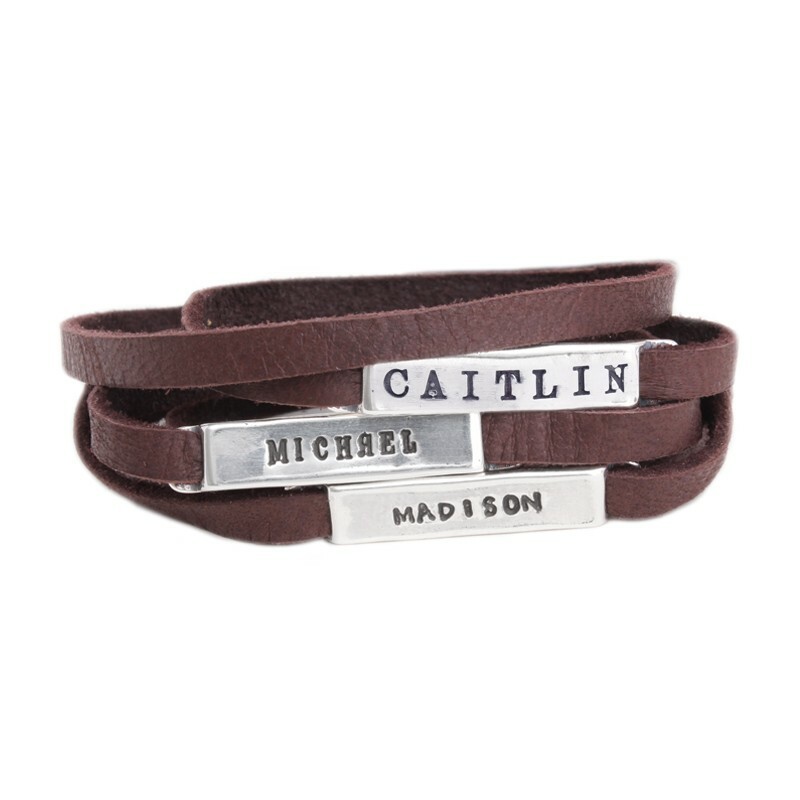 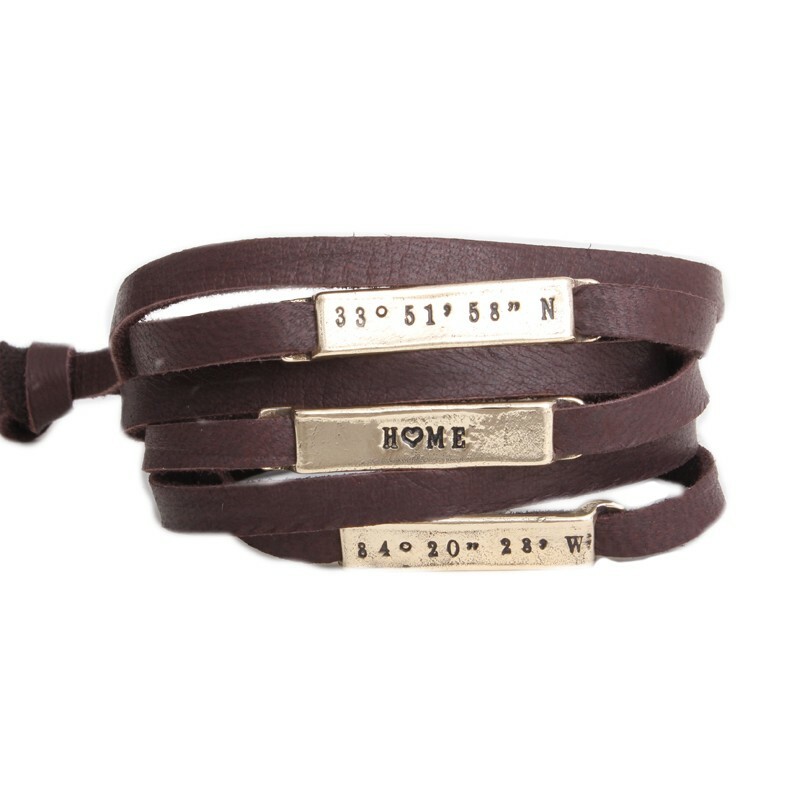 Our new leather wrap bracelet is the perfect way for mom's to have the names of the ones they love wrapped around their wrist.